Matchday 2 returned with all of the fanfare and was dished out as promised, surpassing all expectations with silky game play, unbelievable goals and more involvement from the fans. It also saw the league table gradually begin to take shape as we approach the final round of games before the semi-finals, with some shocking, hard-to-take results. Pacers moved up two places to occupy top spot, level on points with Raineri, while Teknon experienced the same move but in the opposite direction. Elsewhere, Raptors and Guns moved up one place each with Alphas firmly rooted to the bottom, disappointingly. Ebonie (Guns) and Wasiu (Pacers) lead the goal scoring charts with 3 goals each and will try to go clear in search of personal glory. BEHIND THE NUMBERS AT TPL 7 SO FAR. 0 The number of teams unbeaten after Matchday 2. 0 The least number of disciplinary cards (yellow or red) received by any team (Alphas). 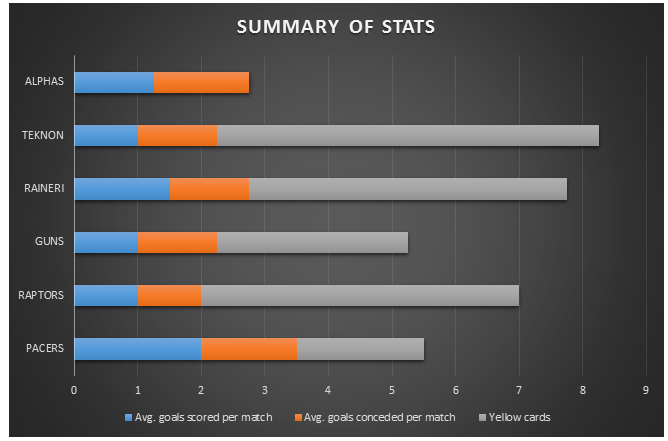 1 The total number of red cards shown (Quadri – Raptors). 2 The total number of clean sheets recorded. 3 Most goals by a single player, Ebonie (Guns) and Wasiu (Pacers). 4 Number of free kicks scored. 5 The number of games it took for Raptors to record their first ever win at TPL, their form in all six games played at TPL – L W D D L L.
8 Most goals scored by a team, Pacers United, making them the highest scoring side. 21 The total number of yellow cards shown. All teams except Alphas have received at least one yellow card. 31 The total number of goals scored. When these two sides met at TPL6, Pacers won 2-0 convincingly and look poised to repeat such feat this time around as they are the more superior on paper. However, Raptors have emerged as the surprise team of TPL7, occupying Third spot going into the final round of games, 2 points behind the league leaders, after recording an unexpected win over the Guns at Matchday 2. They also have the ignominy of having received the only red card of TPL7 after a moment of madness versus Raineri. 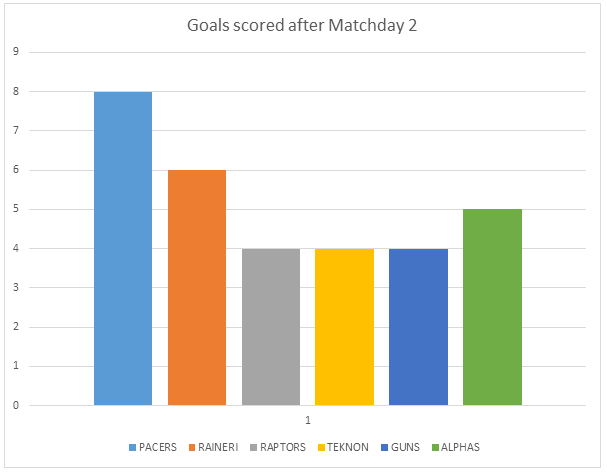 One thing going in their favour is the fact that they are yet to lose a game in which they scored first (vs Guns) and have picked up the most number of points from losing positions (2 points from 2 draws versus Teknon and Alphas). A fast-paced start against the most entertaining team of TPL7 and an early goal for Raptors could see them bag a rare win or more realistically, a much needed draw to qualify for the semi-finals. 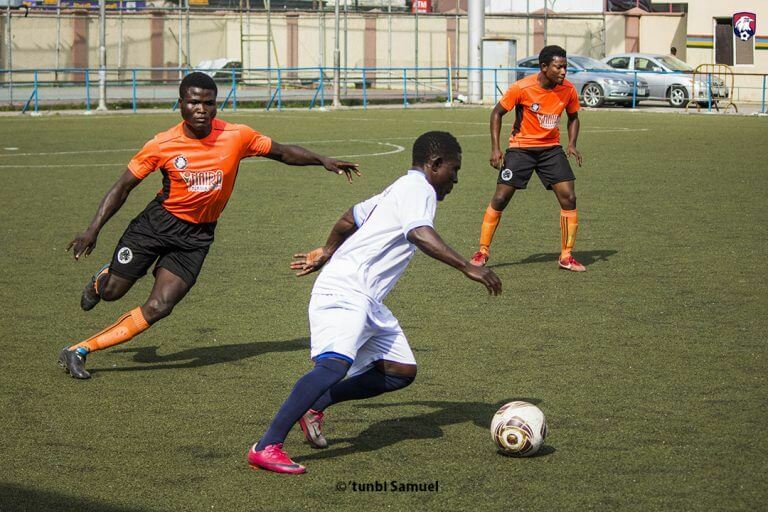 Both sides played out a one-all draw in their only ever competitive TPL encounter at TPL6 and are set to rumble again in the final round of games. Both had the perfect start to TPL7 but a disappointing Matchday 2 saw Teknon slip to fourth while Raineri slipped to second position, though only on goal difference. A win for Teknon would see them go through to the semi- finals without having to depend on results from other games, while Raineri are slightly advantaged as a draw would assure them safe passage. Both teams have shown that they can score goals, so it is only fair to expect goals in this encounter. At TPL6 semi-finals, Guns edged this one on penalties after a 2-2 draw at the end of regulation time. Alphas could look to exact revenge for that defeat and such opportunity could not have come at a better time, with both teams firmly rooted to the bottom of the table, Alphas more so than the Guns. Both teams need to win in order to retain any hope of making the semis, a draw would more than put paid to their title aspirations, disappointingly so, especially considering the quality of football on display by both teams. 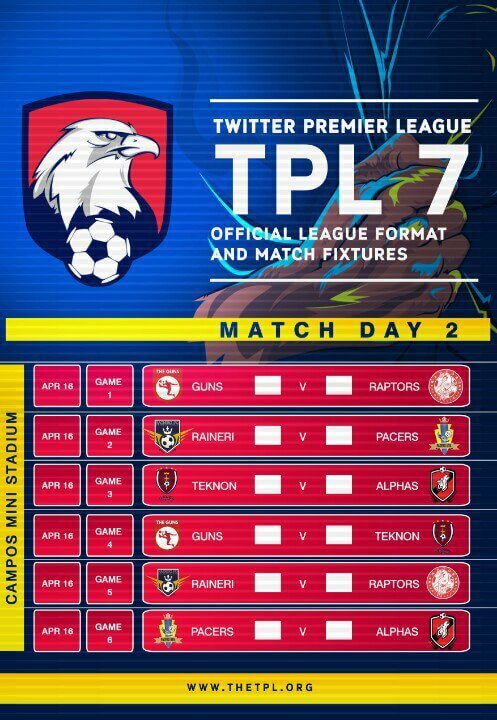 Guns finally got their first win of TPL7 while Alphas are still chasing their first win and will look to get it at the expense of Le Guns. A key factor for Guns will be if Ebonie starts the game as he has scored in every game he started and has scored 3 out of the Guns total haul of 4 goals so far. CLASS!! !